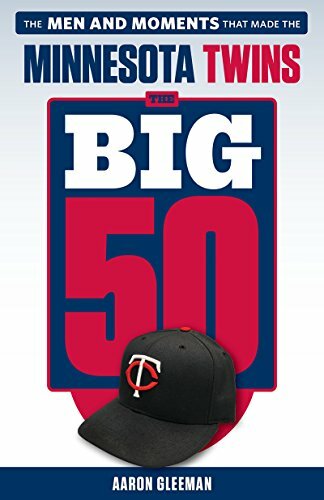 • John Bonnes, Parker Hageman, Nick Nelson, and Seth Stohs from Twins Daily are hosting a get-together Saturday night at Hubert's across from the Metrodome. It starts at 6:00, which is when TwinsFest ends for the day, and I'm told there will be several rounds of free beer and prize giveaways. I'll be there, probably hanging out until they kick me out, and would love to see some AG.com readers and "Gleeman and The Geek" listeners there too. • Delmon Young's one-year contract with the Phillies includes a be-less-fat clause that basically would pay the 238-pound "outfielder" $600,000 for losing eight pounds. I've asked to renegotiate my contract with NBC to include the same clause, at which point they'd owe me $11.25 million. • Another week, another missed connection for me. • Seriously, how did I not make this list? • As someone who never knows how to get anywhere and often previews the route via Google street view this was pretty great. 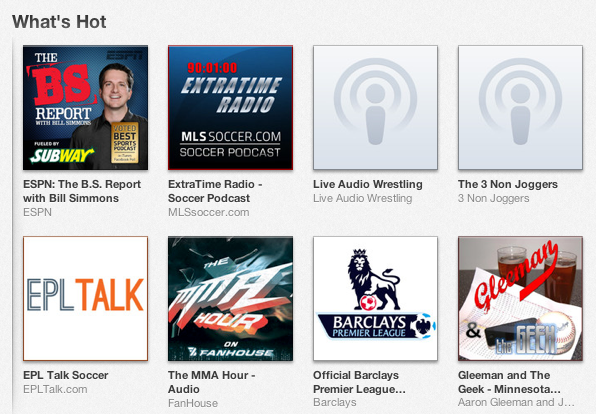 • This is definitely the first time in my life I've ever been referred to as "hot." Well, sort of. • Rotoworld's annual "Fantasy Baseball Draft Guide" is now available online and in magazine form, featuring about 10,000 of my words. • Sammy Sosa talked to HardballTalk's automated Twitter feed. And then presumably he'll join the diving team. • My blog-mate and lifelong Cardinals fan Drew Silva wrote a touching tribute to Stan Musial. • I've often talked here about the potential downsides to having "access" and Jeff Sonderman of Poynter put together some interesting notes on how that applied to the Manti Te'o story. • I watched "Breaking Bad" when it first aired on AMC in 2008 and gave up after a few episodes because it seemed cheesy to me and none of the secondary characters were compelling. Since then basically everyone I know has fallen in love with the show, so I gave it a second chance and re-watched it from the beginning on Netflix instant. And it's amazing. I watched all 54 episodes in nine days and can't wait for the final eight episodes to air on AMC this summer. I still think the first handful of episodes are mediocre at best, but I've never seen a show improve more dramatically and once it gets cooking "Breaking Bad" never lets up. From the second season forward nearly every new character introduced is compelling, including a few of the best regulars in recent television history, and the show's narrative and visual styles are fantastic. If you haven't yet, definitely check out "Breaking Bad" on Netflix or Amazon. • And for everyone who's watched "Breaking Bad" already, you'll enjoy re-watching my favorite scene from the fourth season. Such a great quote/delivery. • Speaking of great AMC shows, Pete Campbell apparently has sideburns now. • This beauty arrived in the mail yesterday as a late birthday present, which gives me an idea for a new weekly podcast segment and should come in handy tomorrow night at Hubert's. Compelling arguments from both sides, really. • Friend of AG.com and Fan Graphs writer David Temple, with whom I've consumed many beers, started a new baseball podcast that's so professional sounding he's calling it a radio show. • In addition to being a Hall of Fame manager Earl Weaver was into sabermetrics before such a thing actually existed and the author of a must-read book. • A couple weeks ago I noted that Bill Burr, Nick Offerman, and Tom Segura are all performing in Minnesota within the next two months and now John Mulaney can be added to the list of good stand-up comedians doing shows here soon. I'm thinking of going to all four. • Terry Gross' interview with Jimmy Kimmel was funny and touching and just great. • Two of my longtime favorite writers/online buddies got new gigs, as Kevin Pelton goes from Basketball Prospectus to ESPN.com and Chris Wesseling goes from Rotoworld to NFL.com. 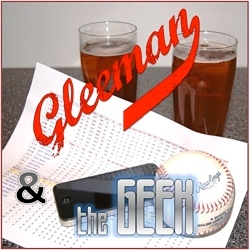 • On this week's "Gleeman and The Geek" episode we discussed whether the Twins can truly be done pursuing starting pitching and what happens when the person cutting your hair wants to talk about nothing but prostitutes killing their customers. - "What if I forget what flavor my Lean Cuisine was for rewards?" - "What does an 11 x 16 bedroom look like?" - "How long for pounds to show up?" - "Older women who have lost 50 pounds"
- "Nicholas Batum languages spoken"
This week's blog content is sponsored by Fresh Brewed Trivia at Granite City in Rosedale Center on Tuesday nights, where you can drink $3 tap beers and win prizes. Please support them for supporting AG.com.